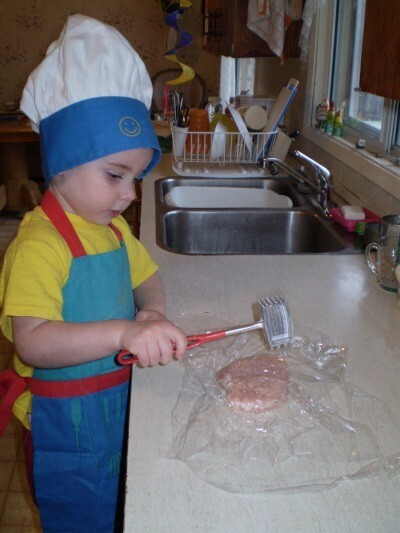 As a grandparent, I want to teach my grandchildren the simple techniques of cooking. My husband has been on 2 mission trips with our church to Iceland. I have baked sour dough bread and sold it to defray the costs of the trip each year. 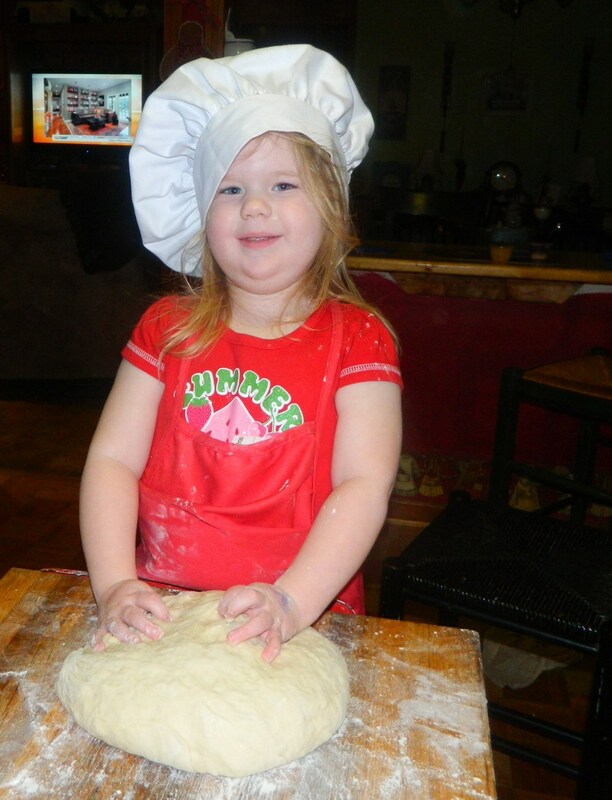 My three year old granddaughter Emily enjoys helping me make the bread dough. When the bread is baked, she "paints" the bread with a honey butter mixture and sprinkles the baked bread with wheat bran. The missionaries appreciate her efforts as a young child. I enjoy watching her amazement as the bread dough "gets fat" in the rising buckets. She has her own chef's hat and apron and we pray over the bread dough as we are preparing it that God will bless our hands as we make it and bless the people who eat it. 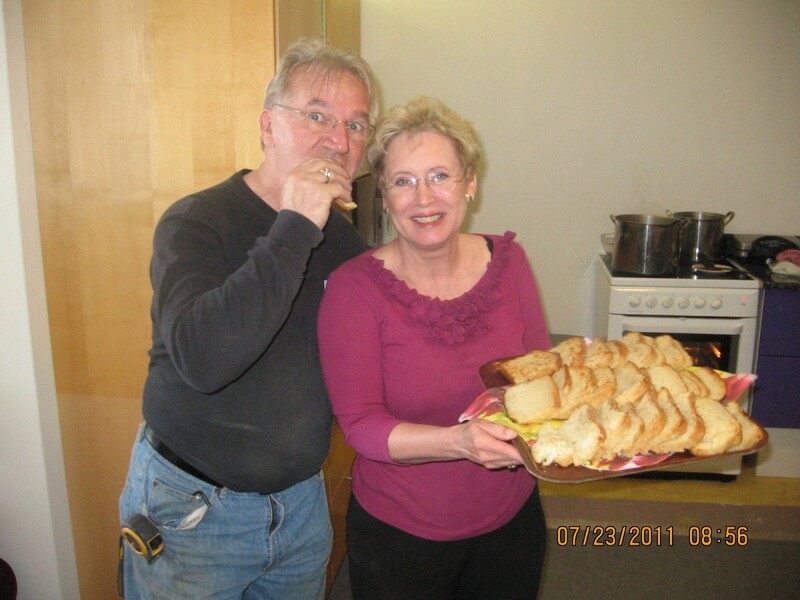 The picture of the couple with the tray of bread is the missionaries in Iceland. I sent two loaves of bread with my husband last year. The bread was served with homemade vegetable soup, cheese, and ham. This bread baking ritual occurs every Friday at my home. 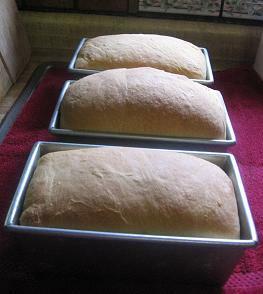 I pray that my granddaughter will have happy memories of making bread with me. I do the same with my Grandson 2 1/2. He loves to make bread, last week we made cordon bleu, so much fun. Very sweet story. I love homebaked bread! I hope she will remmember you also. I hope mine will remember me. What a wonderful thing to do with your grand children! Thank you for the tip. Your grand daughter is so sweet and she will always remember this time with you. We need more grandma's like you. God bless you, and your family. What a beautiful story. Such love is imparted through your baking.